The carrier claims on offering 5G in 30 U.S. cities in 2019, with unlimited plans ranging from $85 to $105. U.S. telecom giant, Verizon Wireless has recently announced that it has rolled out its mobile 5G wireless network ahead of schedule in Chicago and Minneapolis, a clear win for the telecom firm as it sought to establish global 5G networks ahead of rivals in South Korea. Confirming the move, Hans Vestberg, CEO, Verizon, according to VentureBeat, said that its Verizon customers in Chicago and Minneapolis will be the first ones in the world to have the power of 5G in their hands. 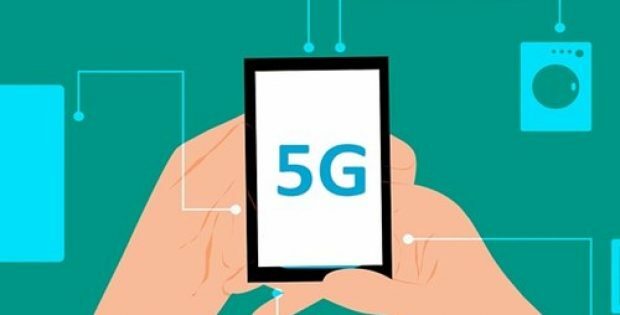 He said that Verizon had launched the first commercial broadband 5G service, Verizon 5G Home, in October 2018, and now is lighting up its 5G Ultra-Wideband network in Minneapolis & Chicago, offering the world’s first commercially available 5G mobile network with a 5G-enabled smartphone. For the record, Verizon had originally scheduled the launch of the mobile 5G network for April 11 with plans to offer Motorola’s 5G Moto Mod and Moto Z3 as the first commercial smartphone. However, sensing an opportunity, Verizon said that it moved up the launch by a week, giving its customers, the first time ever access to a commercial 5G network with the world’s first commercial 5G-driven smartphone. The company claims that customers should get typical download speeds of 450 Mbps, with maximum speeds of around 1 Gbps, and less than 30 milliseconds latency, with network upgrades expected to come throughout the year. Reliable sources claim that the Moto Z3, for now, is Verizon’s only 5G smartphone option, which the carrier is currently offering for just $10 per month over 24 months if brought with a new line, or with an online upgrade. Moreover, Verizon has also promised to offer 5G in 30 U.S. cities in 2019, and will be providing customers with unlimited 5G with plan prices ranging from $85 to $105.